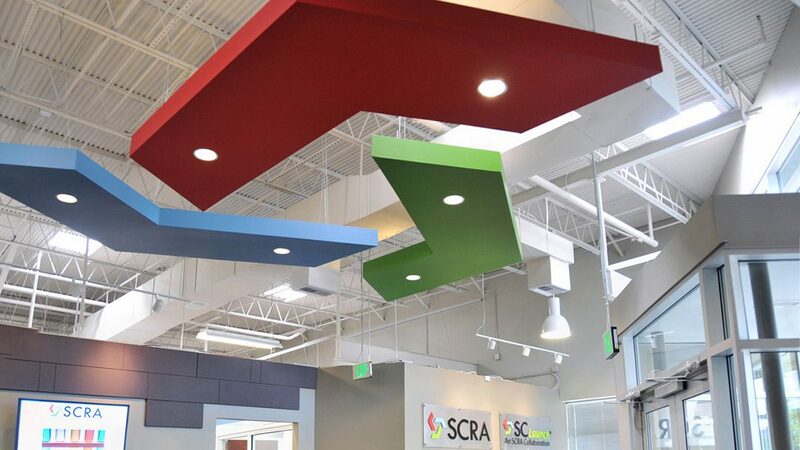 This renovation of the abandoned warehouse has provided SCRA with a facility in Columbia designed to house high-tech companies emerging from research at the University of South Carolina and entering commercialization and light manufacturing stages. The facility is situated and designed to stimulate and sustain clean next-generation manufacturing. The design provides an open, modern aesthetic, promoting innovation and progressive thinking. The existing structure is, and always will be, an industrial building. 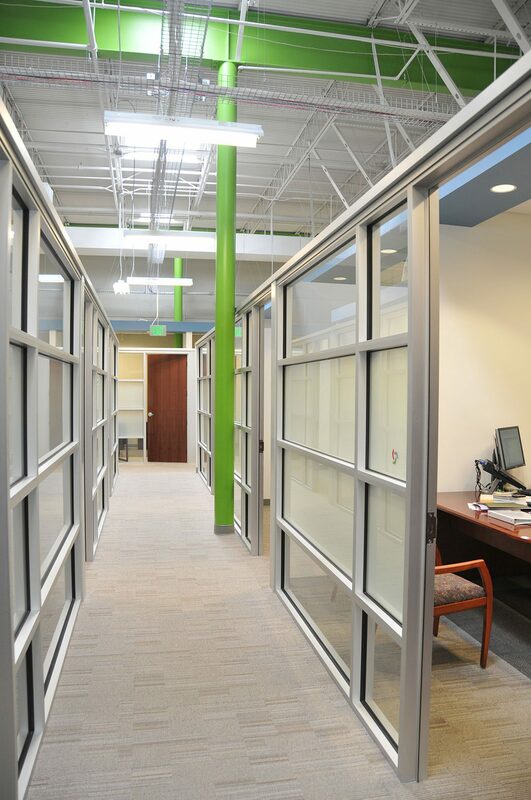 The design embraces that aesthetic inside and out, while enhancing the overall look of the building. 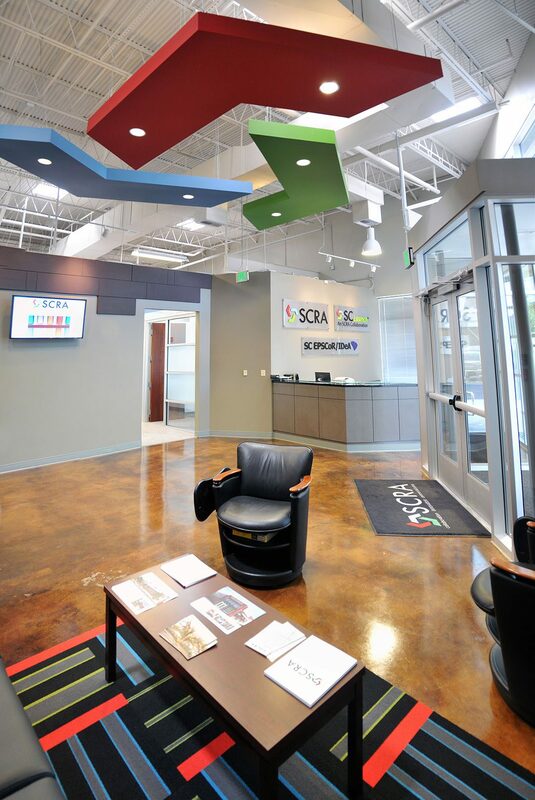 The aesthetic of the exterior is carried inside with an open, contemporary environment for SCRA’s office. 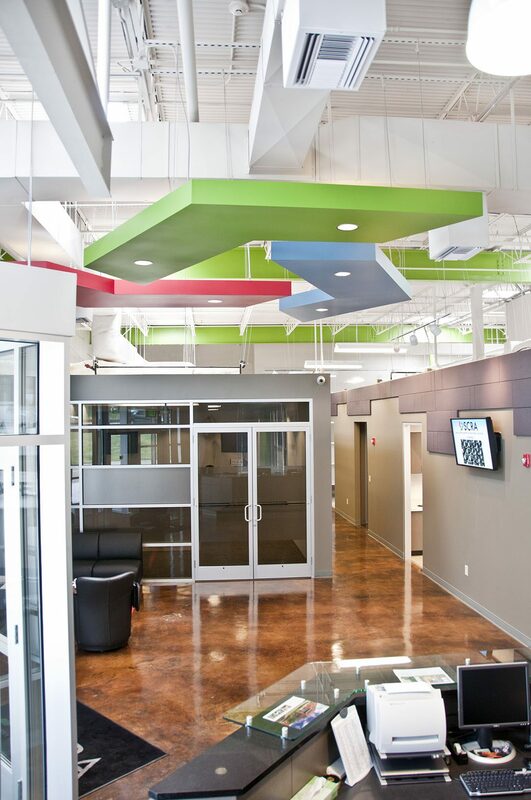 The exposed structure and mechanical systems create a modern and cutting-edge yet cost effective look for this space.